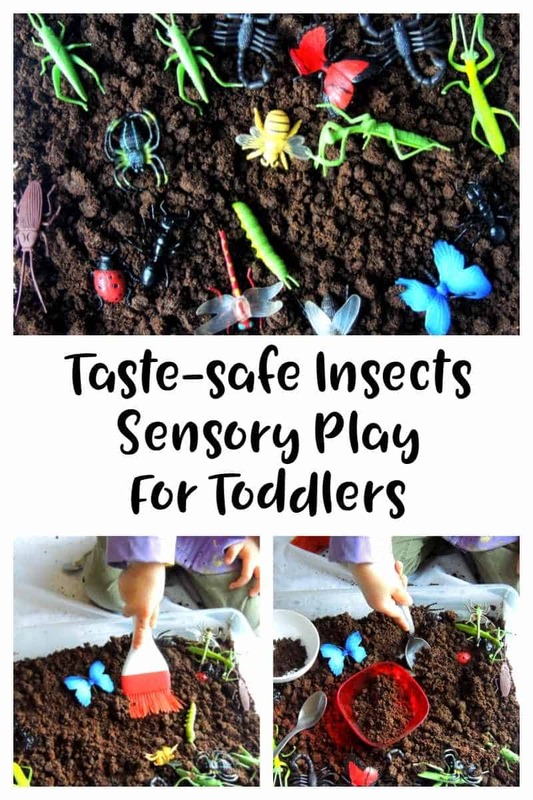 You are going to love this Insects Sensory Bin – perfect for toddlers as it is taste safe (we know how much they love to put things in their mouths!). 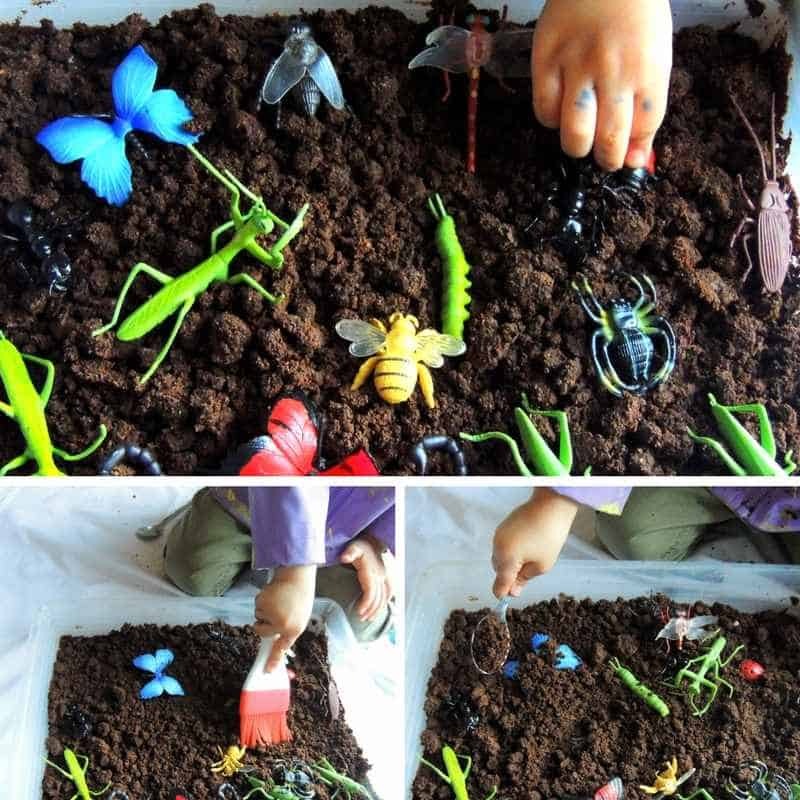 Our sensory bin collection is always popular and this insect sensory bin will definitely be a great addition. This insect theme is perfect to pair with some of our favorite toddler books like the ones below. My daughter has been sick with a nasty cold all this week. As a result, we have spent more time on our couch than we normally do. We have been reading books, painting and watching more Daniel tiger than I would like to admit. I wanted to spice things up and cheer my little one up, but after a few sleepless nights, I didn’t feel like preparing any fancy activities for my toddler. Instead, I decided to modify our favorite taste safe mud recipe to make her a fun sensory bin. 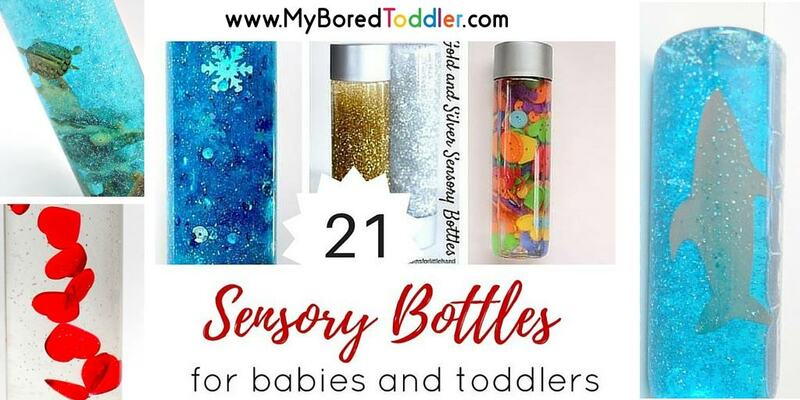 My daughter loves sensory play and it really helps her calm down when she is in a bad mood or she is just not feeling her best. And since she is completely obsessed with bugs and crawly creatures an insect sensory bin seemed like the perfect way to go. Making your own taste-safe soil takes only 5 minutes and you’ll probably have everything you need in your kitchen counter. 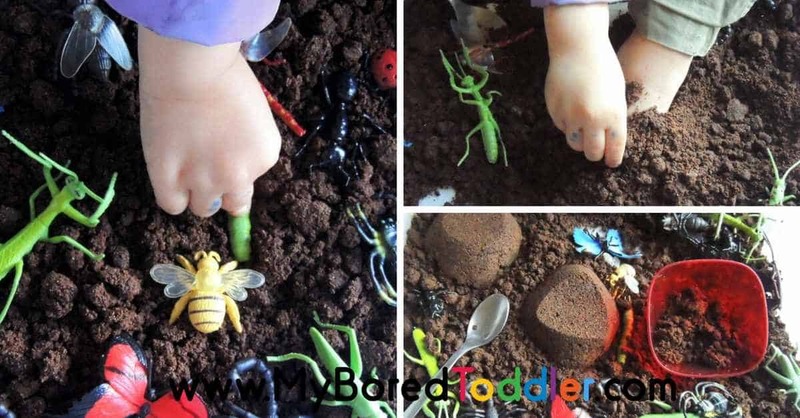 Toddlers love insects so adding some insect figurines will give the soil a fun twist! 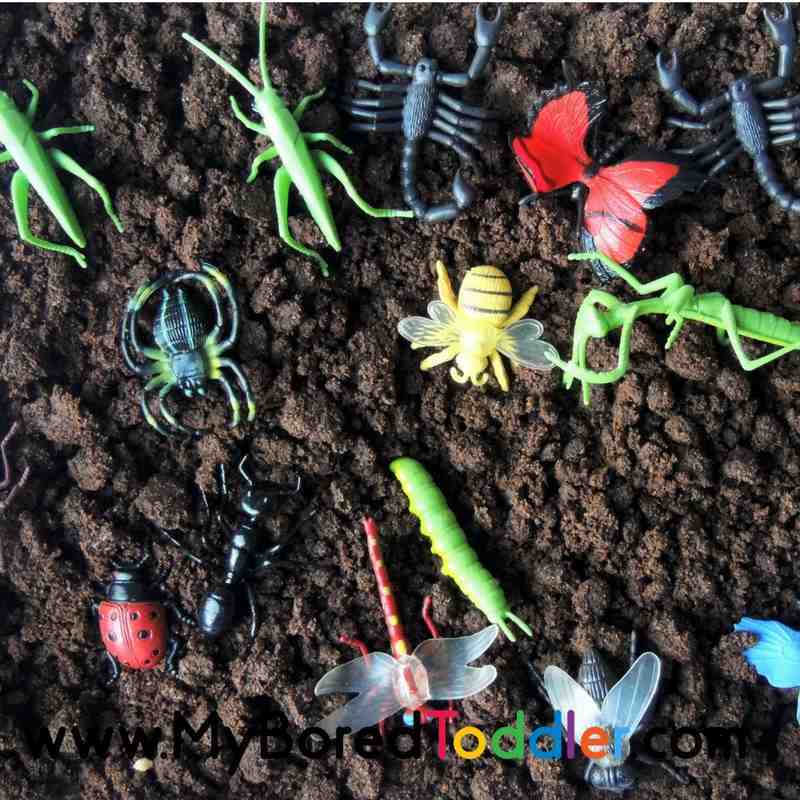 Play insect – we used these ones which are perfect for this age group. Step 1. Mix equal parts of flour and cornstarch. I used 1/2 cup of each. Step 2. Add water until you get a mixture that is not too liquid and not too goopy. I used around 1 cup. Step 3. Add 1-2 cups of ground coffee. The idea is to get a dough that you can make little balls with. Step 4. 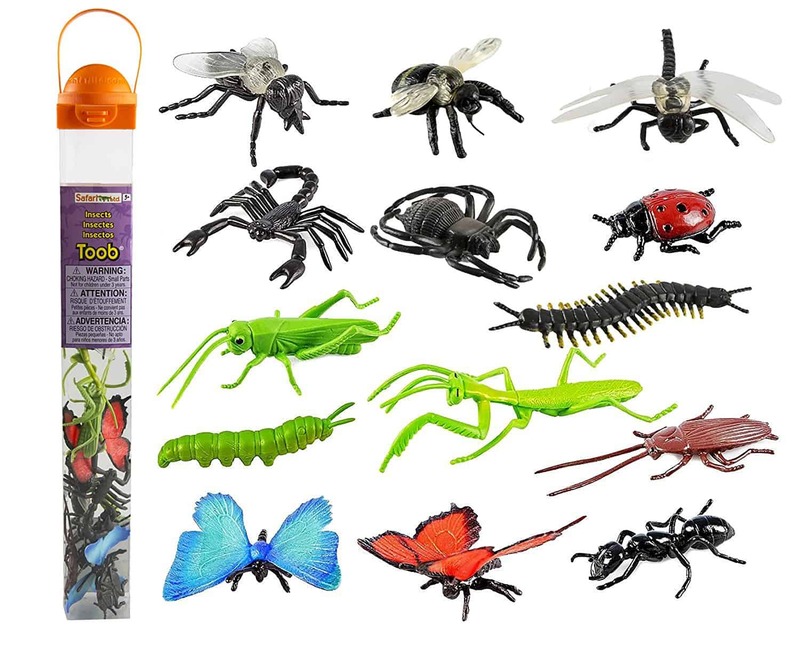 Put the insect figurines in the bin and include a few items from the kitchen to extend the sensory play. Step 5. Put the bin on top of a plastic or a table cloth and invite your toddler to explore. Enjoy! 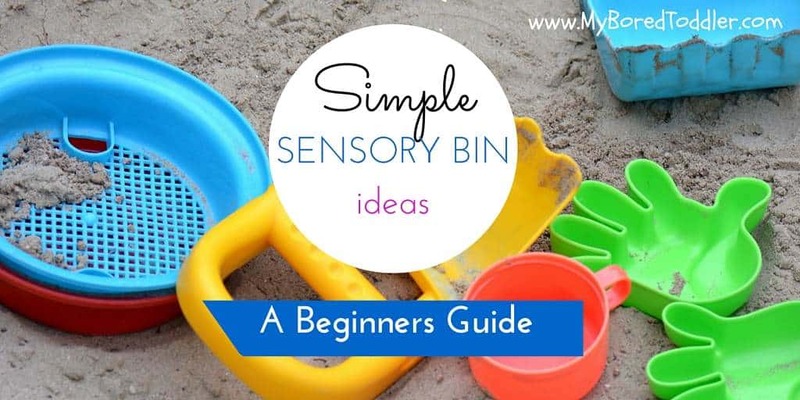 This sensory bin provides countless opportunities for sensory exploration and it is sure to provide hours of fun to toddlers. My daughter was fascinated with this sensory bin and the texture of the dough. She was busy for almost an hour. She started by covering the insects with the dough and cleaning them with a pastry brush. Then, she made mountains with some smaller plastic containers. At the end, she asked me if she could put her feet inside. She got really excited when I said yes and she spent 20 minutes covering her feet with the dough. 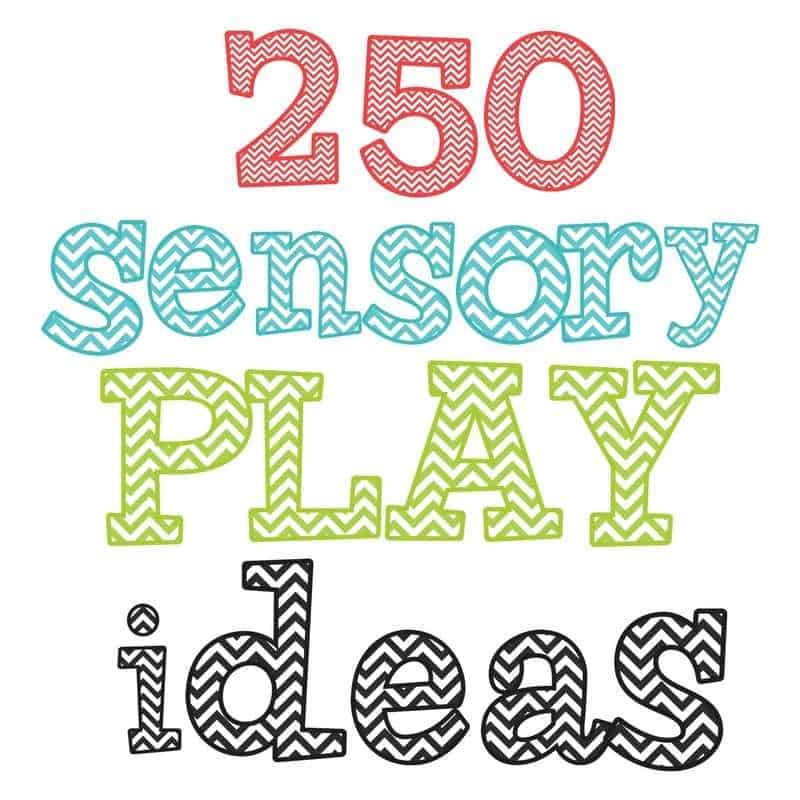 If you love this sensory play ideas, you’ll love our collection of over 250 sensory play activities for toddlers. 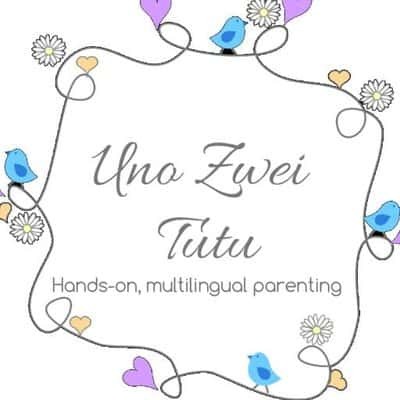 If you want to keep your toddler busy make sure you subscribe to our weekly newsletter and follow us on Facebook, Twitter, Instagram and Pinterest. Is the coffee fresh grounded or used, dried grounds?